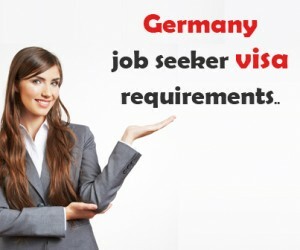 How to apply Germany job seeker visa? Germany allows aliens to work in that country. Whether an applicant is just an alien residing elsewhere (i.e. not in Germany), or already working there (in Germany), or he or she is only studying in Germany currently, or has a degree from a foreign university which is equivalent to a German degree, etc. the rules and regulations that allow the applicant to become Germany job seeker are different for each category. Germany like most other EU countries classifies foreigners based on EU membership, as a first step, whether it is for studies or for visa work permits, or for permanent residency. It also classifies aliens based on whether they are citizens of the European Economic Area, which region’s countries are the ‘member nations of the EU, and the countries/nations of Iceland, Liechtenstein and Norway’ to get Germany job seeker visa process. If the applicant is from the EU or the European Economic Area, then, there are different sets of rules depending upon which region’s member the applicant is from. If for example, the applicant is an EU member, then he/she does not need a visa issued by the German authority, and he/she (Germany job seeker) also has an unrestricted access to the labor market & visa work permits. The same is the case with those belonging to the European Economic Area. But, all residents (i.e. foreign residents) of Germany must register with the local concerned authority (akin to the police station) when moving into a town. If the applicant is from a third country i.e. neither a national of a member country of EU (European Union), or of European Economic Area (EEA), or of Switzerland, then the rules (Germany job seeker visa requirements) for applying to work and to work in Germany are quite different. For such an individual, a residence permit which allows him/her to work ought to be applied for. Each such applicant for that kind of ‘residence permit’ needs to satisfy some general requirements which mean/include possession of a passport, means of earning a livelihood during the stay, and a clean background as regards any criminality, etc. 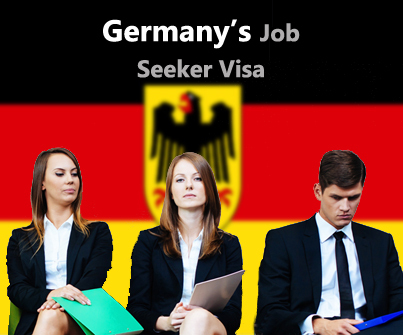 There are also different categories of Germany job seeker visa work permits which vary depending upon the applicant’s background, qualifications, conditions, etc. and these are applicable to a broad range of categories. These include professionals, highly qualified personnel (e.g. scientists with specialist technical knowledge), EU blue card holders, researchers, self-employed people and Germany job seekers. All in all, then Germany visa work permits, has different sets of rules for Germany job seeker visa for citizens EU, EEA, third country, etc. for allowing them to arrive, stay and work there.